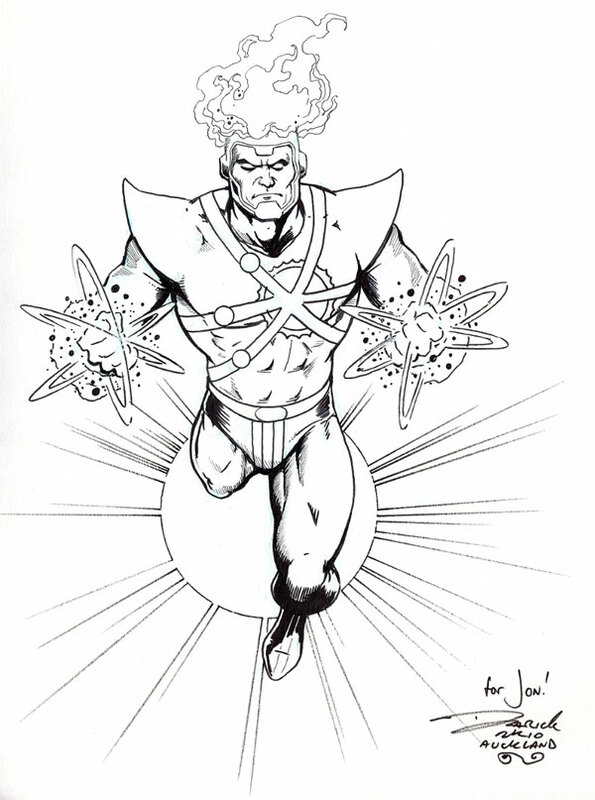 It’s time for more original Firestorm artwork from our good friend Jon at the Fizzit Firestorm-themed blog! He happens to own several original Firestorm pages and convention sketches and has been kind enough to allow me to publish scans of them here. Jon’s been a great contributor to FIRESTORM FAN and my thanks go out to him! You may view scans of his entire art collection online by clicking here. 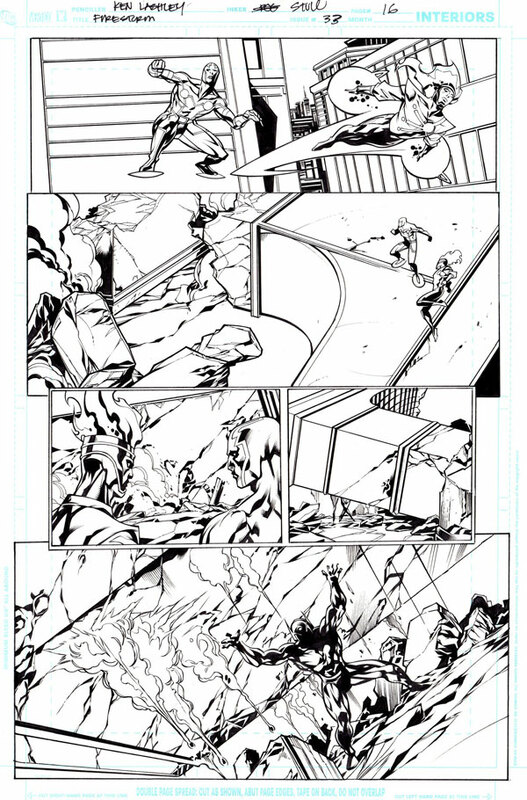 First up is page by Ken Lashley and Rob Stull from Firestorm volume III #33. There is some really nice New God action going on here. Click the image to enlarge. 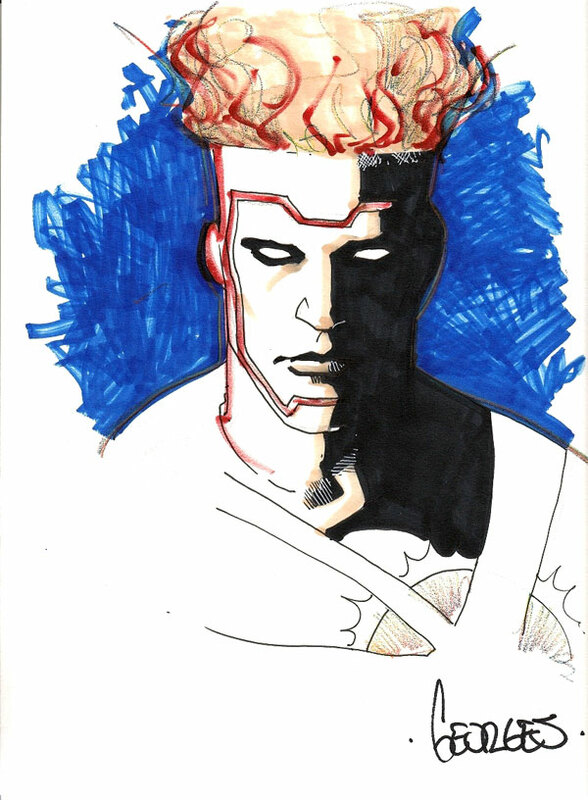 Below you’ll find a convention sketch of Firestorm by Darick Robertson (The Boys and Transmetropolitan). Knowing Darick was a Firestorm fan, Jon asked him to sketch this at the recent Armageddon Expo in Auckland, New Zealand. 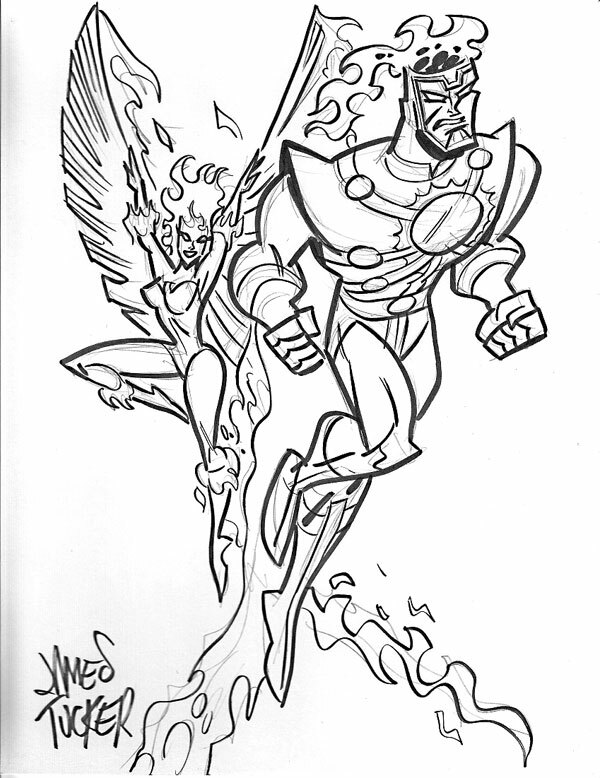 Jon also got this Firestorm and Firehawk sketch by James Tucker (producer of Legion of Super Heroes and Batman: The Brave and the Bold) at the recent Armageddon Expo in Auckland, New Zealand. Finally, Jon got this headshot from Georges Jeanty (Buffy: The Vampire Slayer Season 8 ) also while at the Armageddon Expo. My thanks again to Jon at the Fizzit Firestorm-themed blog for providing me with theses scans to publish! Posted in: Comic books, Firehawk, Firestorm #01: Original (Ronnie/Martin), Firestorm #07: Jason post-Infinite Crisis, Firestorm comic vol. III, Sketch/Art.